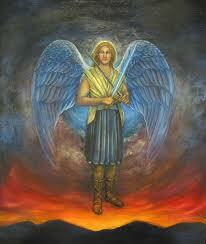 Message from Archangel Michael ~ 1.12.12 ~ CREATE! All who are of the Light are preparing for the momentous event of Ascension of Mother Earth. She is on her way at this very moment. All who are ready will make this shift with her. Many have already made the shift, as you know. You are lifting yourselves daily as you allow the light to infiltrate and absorb your very being, dear ones. Every minute now you have a choice whether to allow this light to be your focus or to make illusion your focus. As you let go of the old ways of thinking that no longer work for you, you are embracing new concepts of Reality and are discovering that you have so many possibilities to make Reality just by focusing your intention and light energy upon them. You all know this dear friends, so now is the time to ramp it up a couple of notches! Consider each moment what you are focusing on. Is it what you are afraid will happen? If that is so, immediately infuse those thoughts with the light and love in your hearts and wash the fear away with your new perspective and inherent knowing that you are now leaving that illusion behind you. Bless it and fill the space with an abundance of love energy. Take it one step further and create in that newly cleared space your image of what is burning in your heart to be a Reality. Sounds simple and it is, dear friends! Just switch over to this new way of thinking that actually has been buried in your subconscious as a way of being that you were so familiar with many eons ago before you created this reality of Duality. The energies are now supporting this new way of Being, and the transformation in your physical bodies and hearts and light bodies is supporting it, so go with it and Create! Your loving friend and comrade in Peace and Love, I AM Michael. I translated this message into Turkish and shared in my blog.